I am currently cold-ful, sniffling, snuffling and sneezing for England. Although feeling rather weary, I am surprisingly chirpy. The last couple of days I have instigated a new rhythm to life – not very deliberately or resolutely – I just tried it yesterday, liked it, and copied it today. 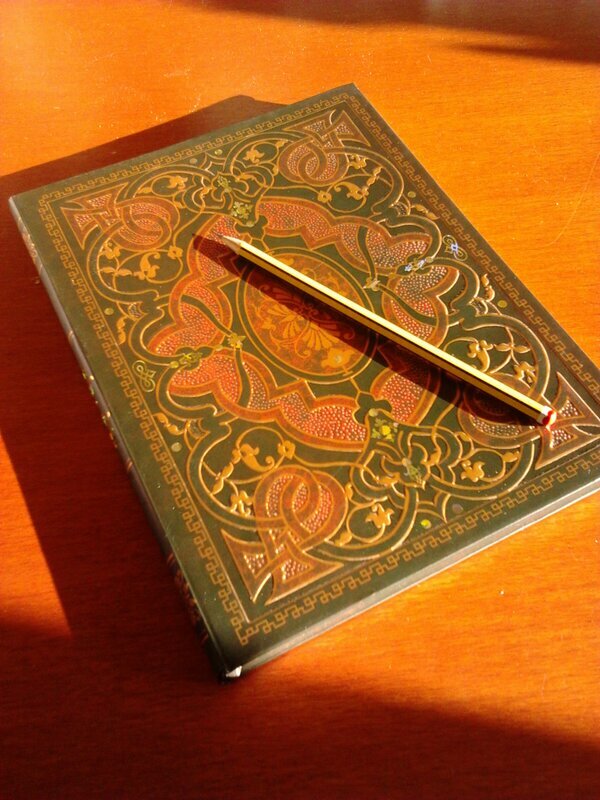 For an hour after breakfast I open my nicest notebook and I write. Whether full-blown paragraphs or simple notes, I focus on the writing. I do not turn on my computer. I have my list of emails that need sending, etc., but that can wait until after my ‘writing hour’. Often writing gets pushed aside by all my other administrative bits and bobs. Not so the last two days. Yesterday I did some work on my book proposal (yes, with pencil and paper!). Today I wrote a short story. Elated by this new pattern, I told my husband I had found a new ‘rhythm of life’. Charming. I should say there was nothing ‘falling out’ of my nose, but admittedly saying ‘rhythm’ seems to be a little difficult. Most of my ‘th’s have become ‘d’s of ‘f’s. And dat’s de troof.